I swear I have had more afternoon tea's in the last few months than I have had in my life!!! 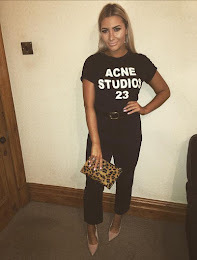 Of course I'm not complaining (well, apart from when I can't fit into my eye-wateringly tight dress on Saturday night or I have to live in sweatpants for a couple of days a la Regina George cos I feel like Shamu) because they are D-E-L-I-C-I-O-U-S. And the best part is, each place offers a different selection of treats, so it's impossible to get bored of them! 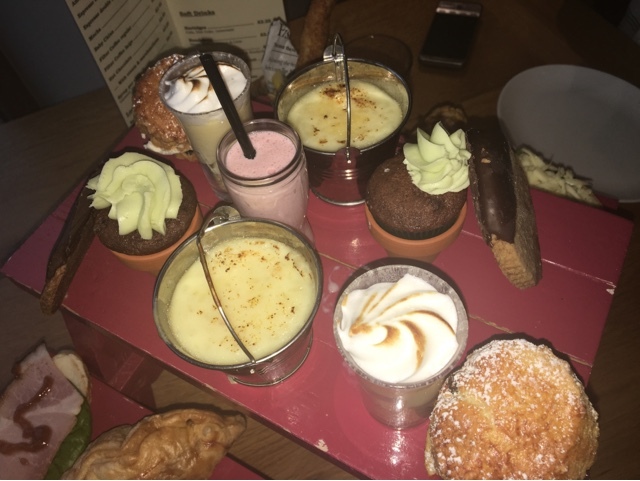 Because of everything she does for me, it was nice to be able to treat her for once, so I took her for a lovely relaxed afternoon tea at a place called The Garden Kitchen. I have seen photos of the cute little wooden bench popping up on my newsfeed for a couple of months now, so I was excited to see if it lived up to it's glowing rep. 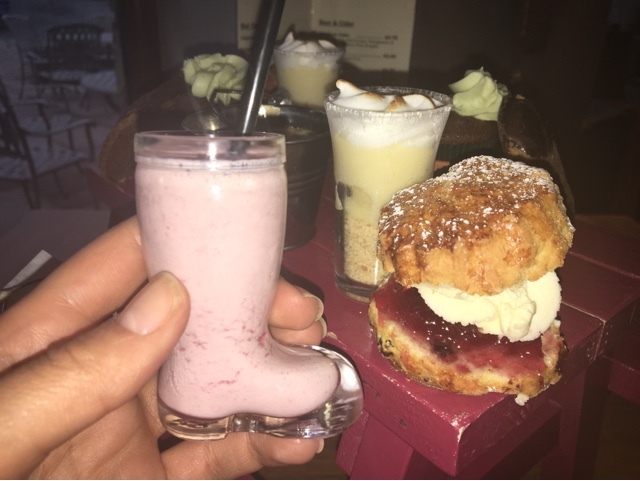 When I had got over the cuteness of this tiny welly, (it took a while I'n not gonna lie) I got round to analysing the vast array of sweets and savouries in front of me. 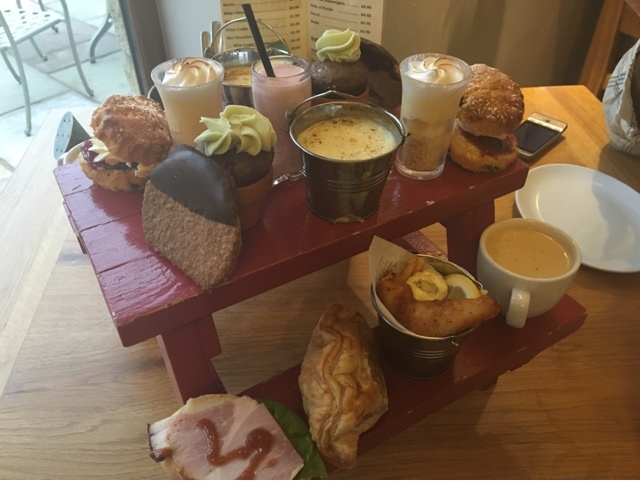 The great thing about The Garden Kitchen is that they switch up the theme of the afternoon tea every couple of weeks- this one was the 'Best of British' and it did not disappoint! One of my favourite things about afternoon tea is deciding what to have first! Me and my Mum always pick the same so we can discuss throughout (LOL). I would have to say my favourites were the cauliflower cheese soup and the rice pudding! With the lemon meringue coming a close second. Really strange because I never eat cauliflower cheese, I'm not a massive fan of lemon and rice pudding would never been my dessert of choice..EVER! Unless maybe I was transported back to school in the Edwardian times. What did you treat your Mum to this Mothers Day? Have you been to The Garden Kitchen before? Ooh this looks so nice & I like that they switch it up so it's really unique. How to recover lost partition as soon as possible? My friends say MiniTool Power Data Recovery free edition is very useful and it is free.